New Delhi: China intends to unilaterally change the status of the tri-junction with Bhutan, posing a challenge to India's security, External Affairs Minister Sushma Swaraj said today. She said both nations would have to withdraw troops from the tri-junction point before resolving the dispute through talks. During question hour in the Rajya Sabha, Ms Swaraj said "their (China's) intention was to reach the tri-junction so that they can unilaterally end the status of the tri-junction. It was only then that India came into the picture". "If China unilaterally changes the tri-junction point, then India's security is challenged," she said, adding that Bhutan has protested in writing to China on this issue. Ms Swaraj said India has been alert about its security in the context of China building infrastructure in the South China Sea. 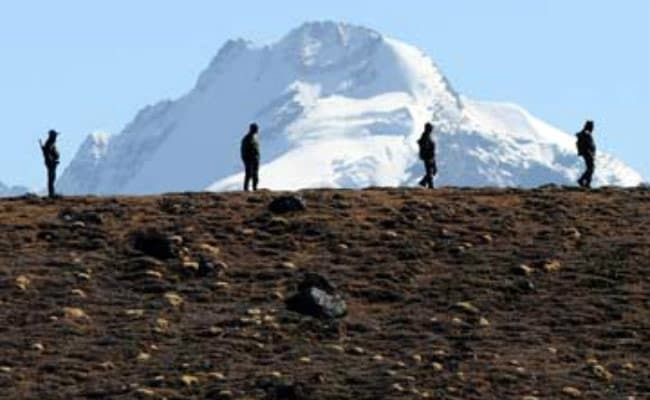 On the standoff at Dokalam, Ms Swaraj referred to a written agreement between India, China and Bhutan in 2012 that the three nations will together decide on the boundaries at the tri-junction point. She said China has been constructing roads earlier too, but now they have brought in bulldozers and excavators. "We are saying that the matter can be resolved through talks, but both sides have to first take back their armies," she said. Ms Swaraj said the boundaries between India and China are yet to be finalised and the two nations will do that bilaterally through a mechanism already set up, while the same between China and Bhutan too will be done through talks. She said India was not "unreasonable" on the issue and all nations were with it. "India's position is not wrong on the tri-junction and all nations are with it. The law is with our country and all are realising this," she said. Replying to a question from Samajwadi Party's Naresh Agrawal, Ms Swaraj said the principle of the Panchsheel Agreement between India and China is relevant today. Ms Swaraj said China has stated its objective of becoming a "maritime power" and as part of this strategy, it is developing ports and other infrastructure facilities in the littoral countries of the region, including in the vicinity of India's maritime boundary. "To say that India is being surrounded, I would say that India is very alert about its security and that is why nobody can corner it," she said, when asked if China was aiming to surround India by setting up infrastructure in the South China Sea. She said India's policy is very clear on South China Sea, that there should be freedom of navigation and commerce should be unimpeded. "If there are any differences, they need to be sorted out through UNCLOS (United Nations Convention on Law of Sea). China had in 2012 said it wanted to become a maritime power and for achieving that, it set up various ports and other facilities," she said. In response to another supplementary by Congress's Chhaya Verma, Ms Swaraj said it was wrong to say that India had delayed in objecting to the OBOR (one belt, one road) issue. "Under the OBOR initiative, China is undertaking projects for development of infrastructure facilities in several countries in the region. The so-called CPEC (China-Pakistan Economic Corridor) which passes through Indian territory under illegal occupation of Pakistan, has been identified as a flagship project of OBOR," she said in her written reply.